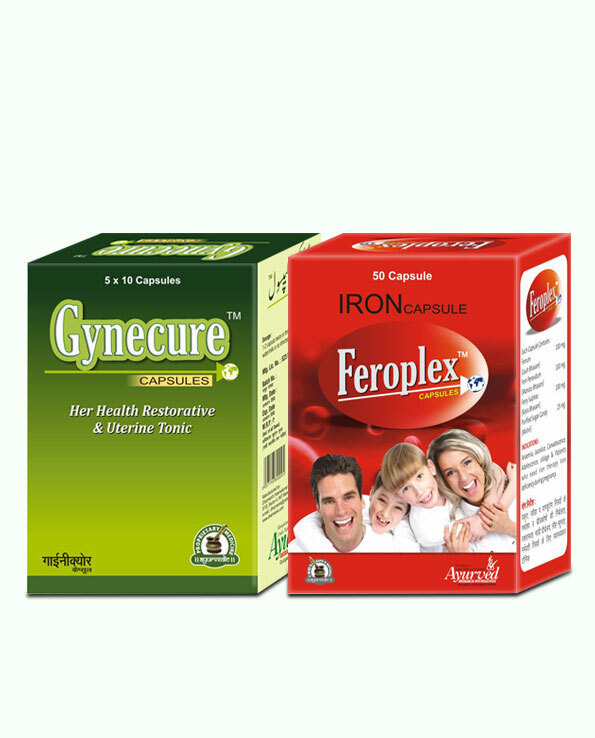 Gynecure and Feroplex capsules in combination works as the best ayurvedic treatment for menstrual cramps or dysmenorrhea and relieves painful periods naturally. Menstrual cramps are involuntary muscle spasms which occur a week before date of periods to cause excessive uterine contractions. Normally these contractions occur so that a female is able to shed corpus luteum along with blood from uterus which is called as periods. Young girls for first two years after menarche generally face abdominal cramps which go away later but in many cases these continue and affect woman even at later age too. Gynecure capsules provide long-lasting relief from problem of pain and cramps during or before periods by providing safe and holistic ayurvedic treatment for menstrual cramps. Gynecure capsules possess herbs which promote release of healthy hormones and control their imbalance to treat problem of abdominal cramps from root. Imbalance between progesterone and estrogen hormones cause excessive contractions which cause pain before start of periods and which may continue till second day of bleeding. By releasing these hormones in proper balance Gynecure capsules provide effective ayurvedic treatment for menstrual cramps. Many women have uterine fibroids which create scarcity of estrogen during periods. Such women also face severe contractions and cramps. The herbal ingredients of this ayurvedic treatment for menstrual cramps shrink these fibroids and other kinds of growth in ovaries etc. and maintain hormonal balance to prevent contractions. Women suffering with poor energy levels and weak muscles face cramps due to severe muscle spasms and pain during periods. These can get triggered due to poor hormonal levels or due to disorders caused by low energy levels. Gynecure capsules alleviate the problem due to these reasons as well by providing ayurvedic treatment for menstrual cramps with wide ranging benefits. Gynecure capsules when taken in combination with Feroplex capsules provide even faster and better ayurvedic treatment for menstrual cramps. Gynecure capsules resolve hormonal problems and provide healthy and strong reproductive organs for painful periods treatment. 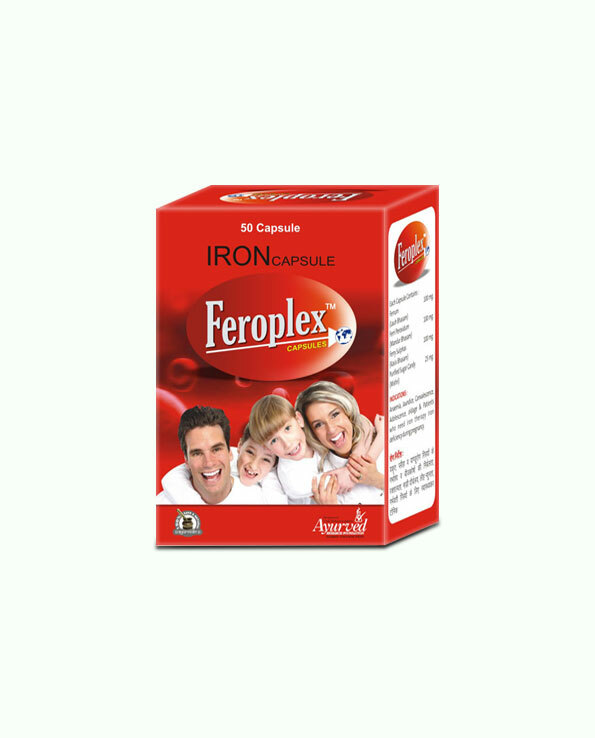 Whereas Feroplex capsules increase number of RBCs and supplement vital minerals like iron to maintain energy and organs strong by supplying higher nutrition and oxygen to prevent pain during periods. Feroplex capsules help women recover from weaknesses after pregnancy, lactation or surgeries etc. and also from blood loss occurring due to heavily flowing periods. Higher availability of iron maintains energy and strength in muscles and prevents their spasms which trigger severe uterine contractions to cause pain. In combination these pills provide complete ayurvedic treatment for menstrual cramps and also resolve problems like irregular periods, heavily flowing periods and scanty periods effectively. These supplements are wonderful for providing a female optimum fertility and healthy reproductive system. Herbal supplements are designed to provide safe results, Gynecure capsules and Feroplex both are completely safe for use by women of all ages. These along with painful periods provide numerous other benefits and provide a female energized body and strong reproductive system. 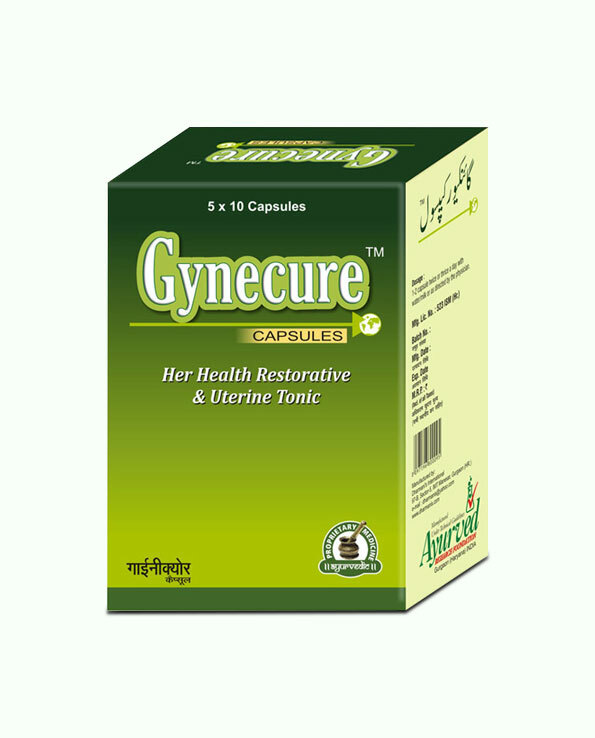 Gynecure capsules possess herbs like – Ashoka, Lodhara, Kasni, Supari, Shwetbeej, Pataltumbi, Mochras, Morpankhi, Samudraphal, Menphal, Putrakanda, Putrajiva, Tapasvini, Sutrapushpa, Hirabol, Nagkesar, Kandera, Eshkpecha, Shivlingi, Ketasi, Dharaphal, Kut, Davada, Kachnar, Tejpatra, Kesar and Pipal. Feroplex capsules contain herbs which are – Lauh bhasma, Kasis bhasma, Mandur bhasma and Mishri. Collective effects of these herbs safely and quickly elevate woman’s energy levels, bring healthy hormonal secretion and maintain sound health by suppressing thyroid malfunctions, anemia, slow metabolism and ill-effects of ageing. Gynecure and Feroplex capsules have been designed so that these remain easy and simple to use. All a woman need to do is consume one or two pills after meals with water or milk. All one need to care about is regularity rest all the herbs present in these can take care. We would recommend duration of 4 months at least as herbs need some time to resolve the issues and improve overall health. In case you have any other disorder or diseases continue this treatment for 6 months to gain maximum benefits. Eat green vegetables and fruits in bulk, also include wholegrain, seeds and nuts in your regular diet,fat-free dairy products are good sources of calcium and vitamin D which keep muscles energized. Avoid stress and stay active during the day. There are few easy options available for you to make the payments. You can pay on delivery in India or send us your payment through Cheque, DD, NEFT or deposit in our account directly. We can deliver products anywhere in India within 3 to 5 working days. We use FedEx to supply and always take care of your privacy. You will get the parcel in a discreet packing which will protect details of the product from every eye. I have tried anything and everything because I get major menstrual cramps during this time of the month. But after taking these supplements my period pain was gone. I would definitely purchase this combo again and recommend this to friends. Non-addictive, herbal, what more could I ask for!! My irregular period’s problem completely cured. Now I get my periods on regular time interval. I had cramps since my very first period. After I tried these supplements, I was quite surprised. Thanks Gynecure and Feroplex, you rescued me. Of all the supplements I’ve used these are the best out there. Will be ordering another bottle soon!! Got this herbal combo for a friend who needed it!! She said these supplements work wonders and she is happier than ever. Truly an awesome combination!! After using these pills my menses this month were almost pain free, and at the very least greatly reduced. It is literally incredible. I’ve noticed my complexion clearing up as well, which felt like an added bonus in my situation.